Layton Beads at Avery Hill Beads and More! We are collecting canned goods for the food bank on 193 in Layton this December. Please participate. I would like our store to bring in a generous donation this year. Check under the calendar at the top bar of this page for the year calendar. You can pick up a printed calendar at the shop. Wire classes will be new projects this year on Thursday night. Chainmaille classes once a month on the forth Saturday 4 – 6 p.m.
And lots of sales of course. 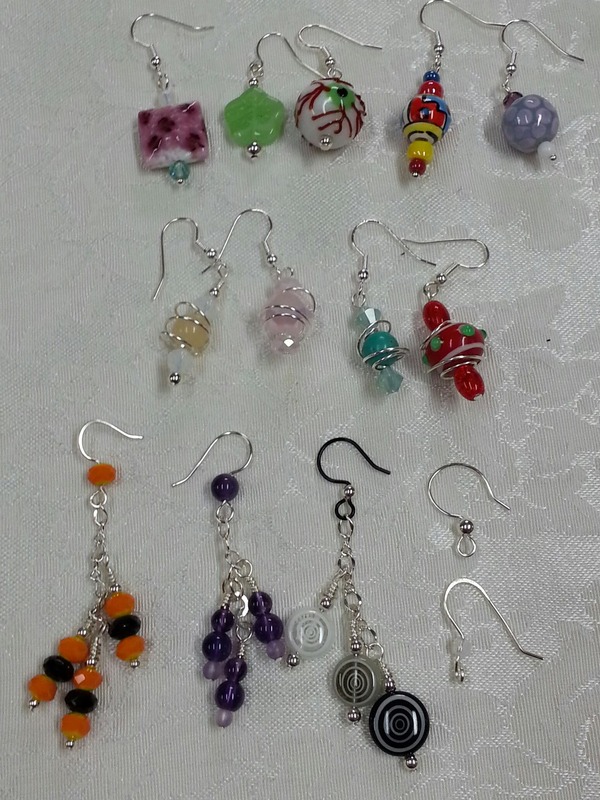 We will make three pairs of earrings in this class. Thursday, 6 – 8 p.m.